FREE WEBINAR – NZ Only! 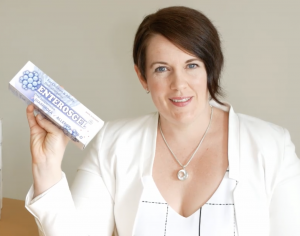 Enterosorbents are not well understood through Australasia, yet they are widely used through Eastern Europe as a primary self-care remedy for eczema, poisonings, hangovers, and gastroenteritis. Used since ancient times sorbent compounds have been swallowed to help detoxification though the gut so this concept is not new, however thanks to innovative scientific methods, the selectivity of what modern enterosorbents bind to, and other characteristics make enterosorbents an invaluable addition to your gut health care plan. 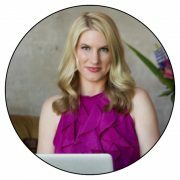 Seminar recording – Free for a limited time only!! *After completing this seminar recording. On until 30th September 2018. An introduction to the OAT and its clinical relevance. We explore some of the things to look out for to ensure we assess the clinical markers correctly. We look at common markers of gut dysbiosis and how they relate to other markers on the OAT. Detoxification is an important aspect of any biochemical assessment. We look at common markers that may be used to assess gallbladder and liver dysregulation in our clients. We explore markers that may give us indications on hormonal and autonomic nervous system imbalances that have important roles in many cell signalling processes in the body. The Inaugural Methylation Summit last year was a ground breaking success. The feedback from delegates was that it was like no other conference they had ever been to before. It challenged pre-existing ideas and gave health practitioners a unique perspective on genetic susceptibility and how the environment impacts it. In 2018 we will be delving into the drivers of anxiety and depression. Endemic in our society today, from small children to adults alike we are inundated with patients presenting with ongoing anxiety and depression. Perhaps the most difficult of the methylation pathways to understand, the neurotransmitters dopamine, serotonin and GABA are key to a practitioners understanding of how to reduce anxiety and improve mood. The Methylation & Genomic Summit is a unique opportunity for health practitioners to understand genetic susceptibility and the environment on assessing anxiety and depression. Why is it that for some women, getting pregnant is a chore while it is easy for others? 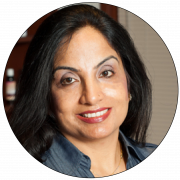 Join Dr. Anju Sodhi as she discusses improving female health and increasing fertility. 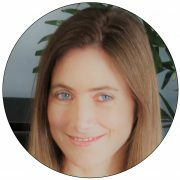 She will present ways to regulate menstruation, prepare the body for pregnancy, and discuss healthy practices during the duration of pregnancy using both modern naturopathic concepts and ancient Ayurvedic ways. There will be time for questions at the end of the presentation.